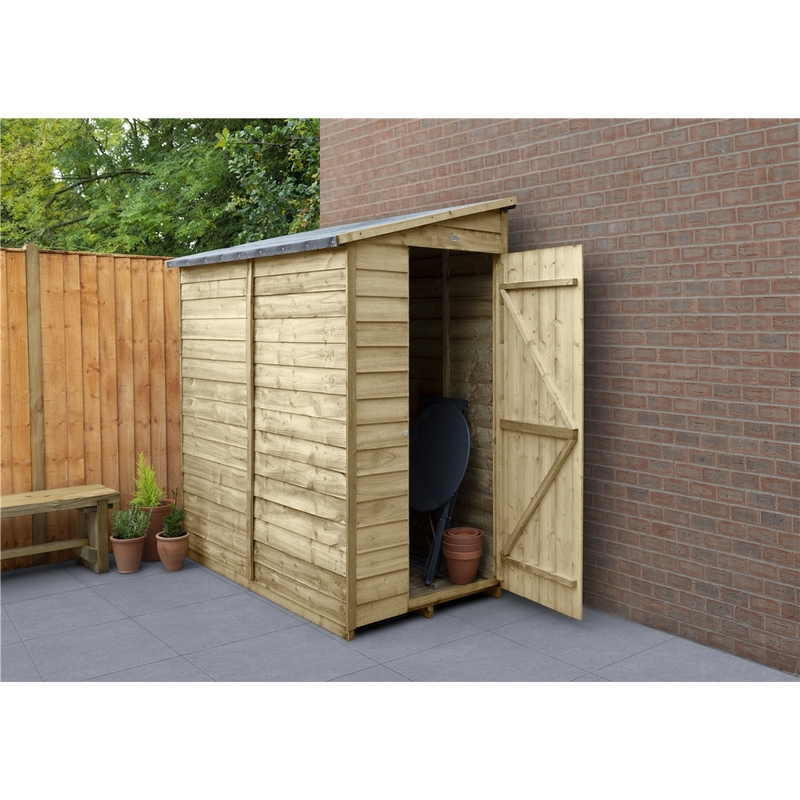 The Overlap Pressure Treated 6x3 Pent Shed has a practical design with higher eaves than most other brands, so you can move easier and store more. The pent roof style is ideal for positioning against a wall and will offer a secure space for you to store garden equipment. 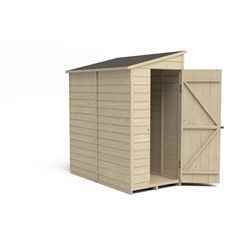 This pent shed is constructed using straight cut boards that overlap, allowing for natural movement of the timber so it can adapt to the changing weather conditions, and to aid water run-off. 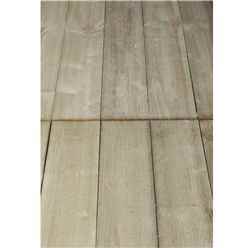 The Pressure Treated solid boarded floor is very sturdy and strong, unlike common OSB, making it ideal for coping with shelving or heavier items such as lawnmowers. 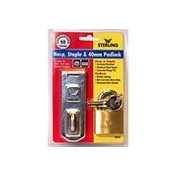 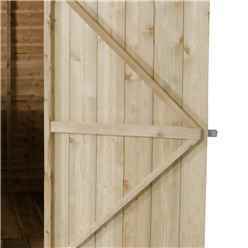 For added strength and security, the single door is braced with double “Z” framing, it also features hidden hinges and can be secured with the hasp and staple latch for increased security. 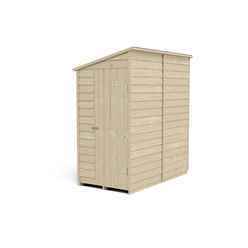 Due to the Pressure Treatment of this 6x3 shed it is guaranteed against rot for 15 years. 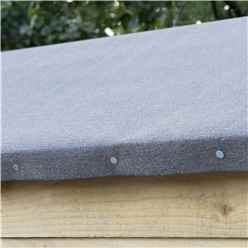 The black sand felted roof and the smooth-planed barge boards give this shed an attractive finish. 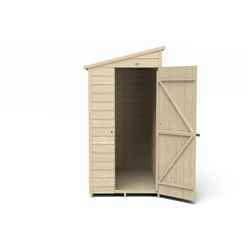 These quality garden sheds are manufactured in the UK with FSC certified timber from sustainable sources. 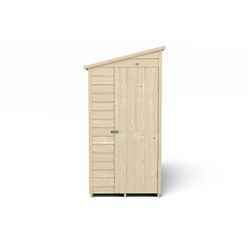 All fixtures and felt needed to build this Forest shed are included, along with easy to follow instructions.